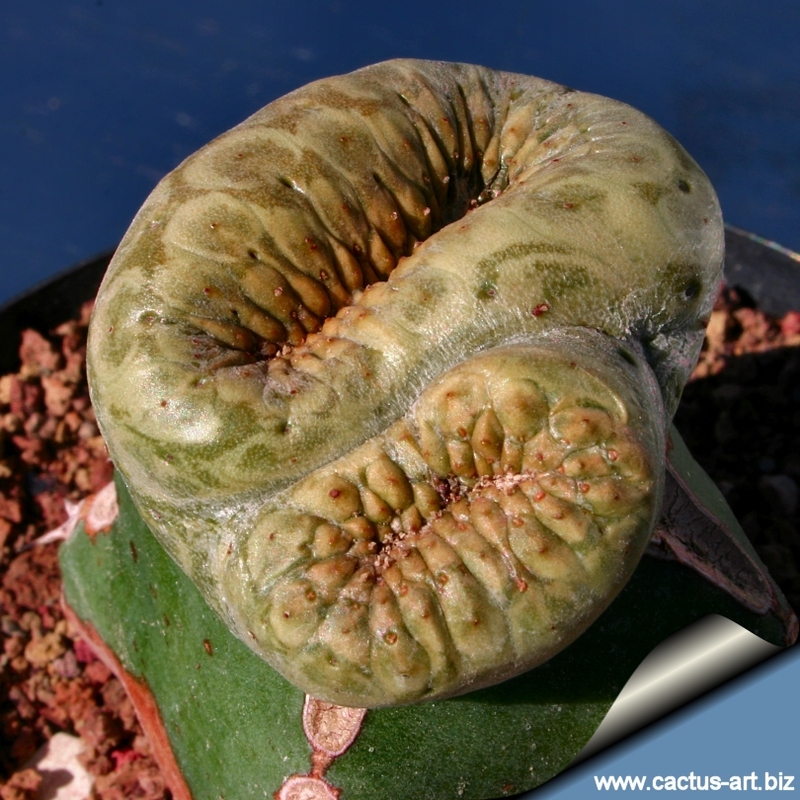 This is one of the most extraordinarily beautiful and rare succulent crests. Origin: This is a narrow endemic Euphorbia only in a small part of northeastern Somalia. Once believed extinct, this species was originally descibed by Emilio Chiovenda (1874-1941) in 'Flora Somala vol 3' en 1936 and newly rediscovered 32 years later by John J. Lavranos near Eil (Eyl) in Somalia. Description: Euphorbia turbiniformis is a dwarf, globose succulent that live almost underground. Stem: Spherical with a short obconic caudex about 4 cm tall x 6-8 cm in diameter, it grows almost buried in the soil and has lost all its spines. The apex is depressed an the epidermis is smooth, shining. Usually it has a single growing point, but in cultivation the plant can branch dichotomously forming two to several apexes. Flowers: The very small yellow cyathias ( both male and female) are born on a short cymose inflorescence up to 5 mm long. Crested plants are very rare rare but time by time seen in cultivation and sought after by collectors. Cultivation: This species is always found grafted because it is very difficult (if not impossible) to grow it on its own roots.